The staff were helpful and friendly and spoke reasonable English. 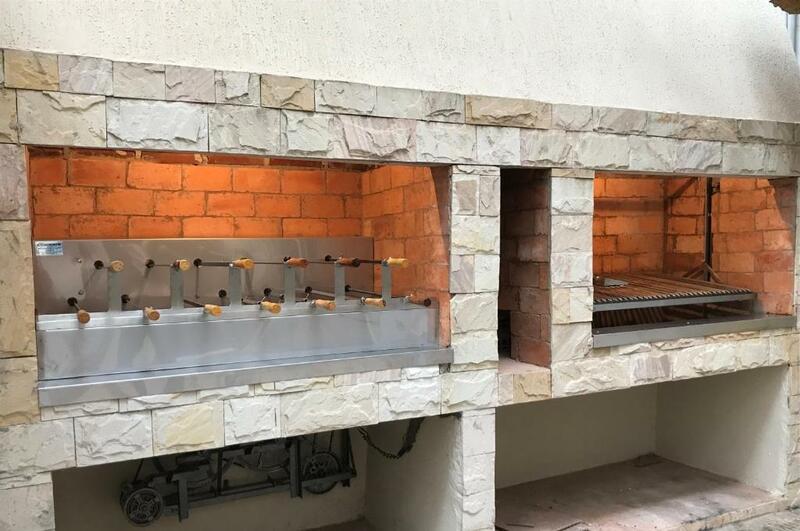 The place was very clean and there is also a little swimming pool in the patio at the back. Ideally located 5 mins walk to the big beach! Breakfast was also good here. 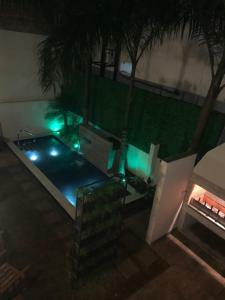 Location was great - close to the bus terminal and the beach; the apartment was quite large and had a fridge; the staff were friendly and the place was very clean. Helpful staff, good breakfast including cheese and ham toasties! Quite close to town. Room had plenty of space. Breakfast was very simple, just a glass of juice, coffee or tea, a toast and a piece of cake. Kitchen was useful. There was a "living room"with a table and chairs. That was very good. I recommend this place. Special thanks to Beto, who received us upon arrival. The lovely staff at reception, our host was so welcoming, informative, helpful and kind :) The flat on the ground floor was very spacious for 2 people and great WiFi!!! Also good shower and the back room was quiet for a couple of good night's sleep. Close to supermarket and lavandería. Very friendly city and staff. It's a basic flat but it is comfortable and does the job! Can pay by MasterCard which we found a plus! 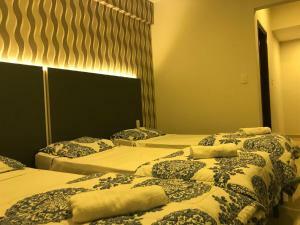 It was a big apartment with 5 beds, good for 6 persons to sleep. It was bright with a balcony from where I even could see the river. The AC was powerful, the fridge was big and some programs on the TV could changed to English. Wifi was very good. Some staff even could speak some English. Breakfast was ok. Bus station was 15 min easy walk. Several restaurants, bars are close by. Excellent location. This is a hotel with 24 hour reception and all the rooms are apartments. 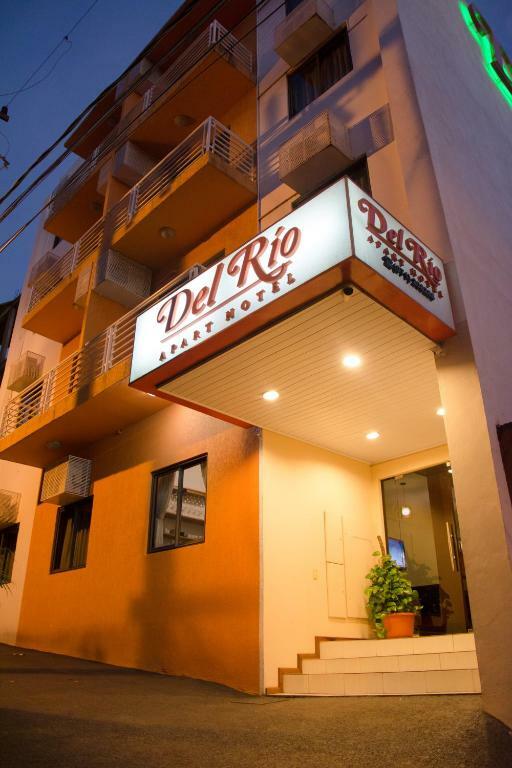 Lock in a great price for Del Rio Apart Hotel – rated 8.3 by recent guests! One of our top picks in Encarnación.Located 650 feet from San Jose beach, Del Rio Apart Hotel offers comfortable apartments in Encarnación. 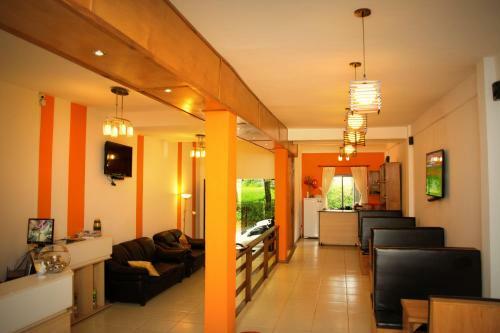 This self-catering accommodations includes a lovely garden and a bar. Free WiFi access is provided, and a continental breakfast is served daily. 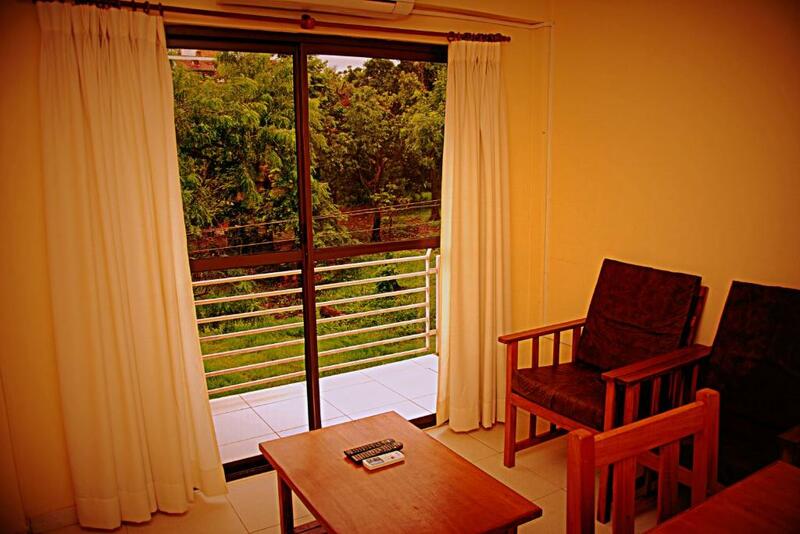 Apartments at Del Rio Apart Hotel feature air conditioning, fully-equipped kitchens and seating areas. All of them include clothes racks and private bathrooms with free toiletries. 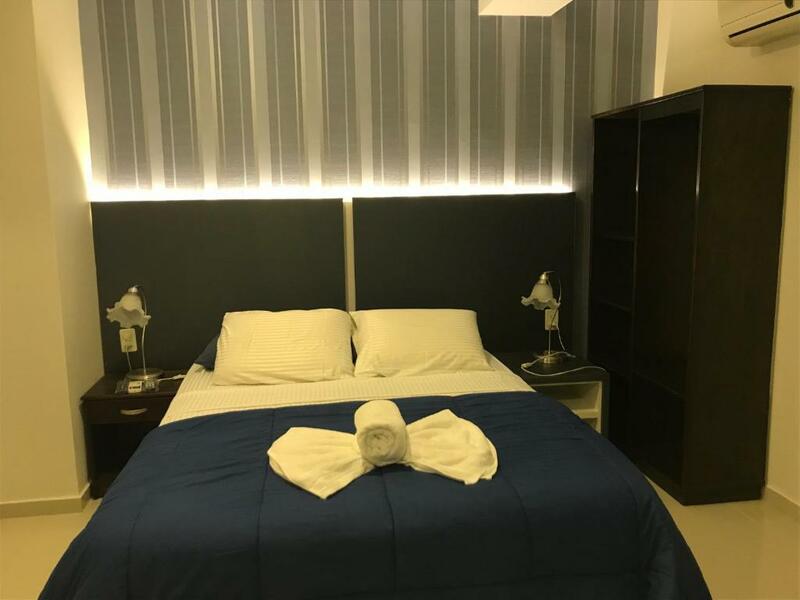 Bed linens are provided, whereas towels are only provided in some units. Guests can enjoy views of the river and garden in some units. 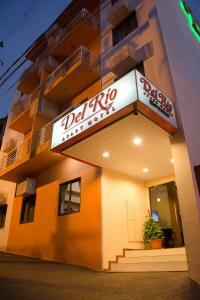 Del Rio Apart Hotel offers free parking, housekeeping and ironing services. Guests can enjoy a shared lounge and a 24-hour front desk. 뀐 Located in the top-rated area in Encarnación, this property has an excellent location score of 9.2! When would you like to stay at Del Rio Apart Hotel? An air-conditioned apartment fitted with a balcony overlooking the river and garden. It includes a fully-equipped kitchen, a seating area, a flat-screen TV and a clothes rack. 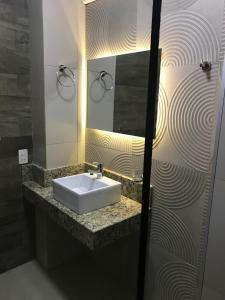 The private bathroom is completed with free toiletries. Bed linens and towels are provided, and interconnected rooms are available. An air-conditioned apartment fitted with a fully-equipped kitchen, a seating area, a flat-screen TV and a clothes rack. 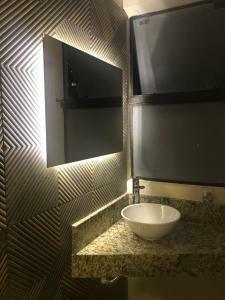 The private bathroom is completed with free toiletries. Bed linens are provided. This unit affords views of the river. An air-conditioned apartment fitted with a fully-equipped kitchen, a seating area, a flat-screen TV and a clothes rack. The private bathroom is completed with free toiletries. Bed linens are provided. An air-conditioned studio fitted with a fully-equipped kitchen, a seating area, a flat-screen TV and a clothes rack. 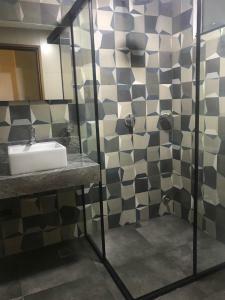 The private bathroom is completed with free toiletries. Bed linens are provided. 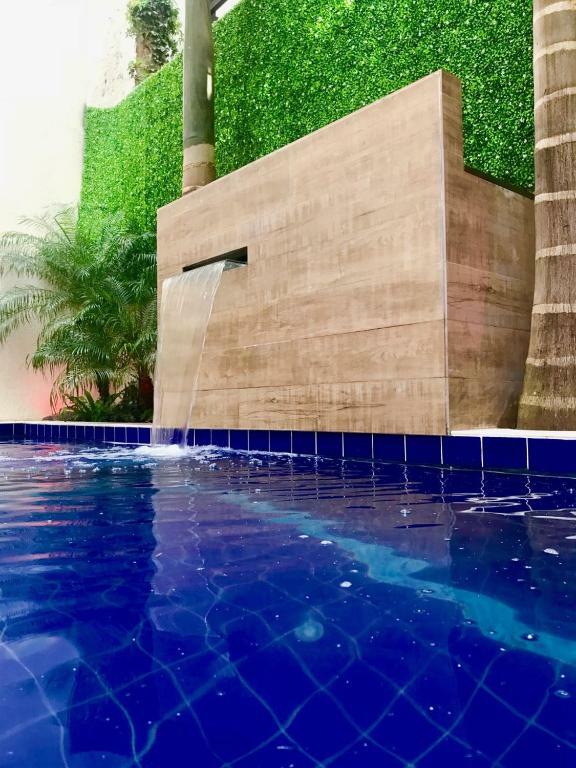 House Rules Del Rio Apart Hotel takes special requests – add in the next step! Up to three children under 6 years are charged USD 10 per night when using existing beds. 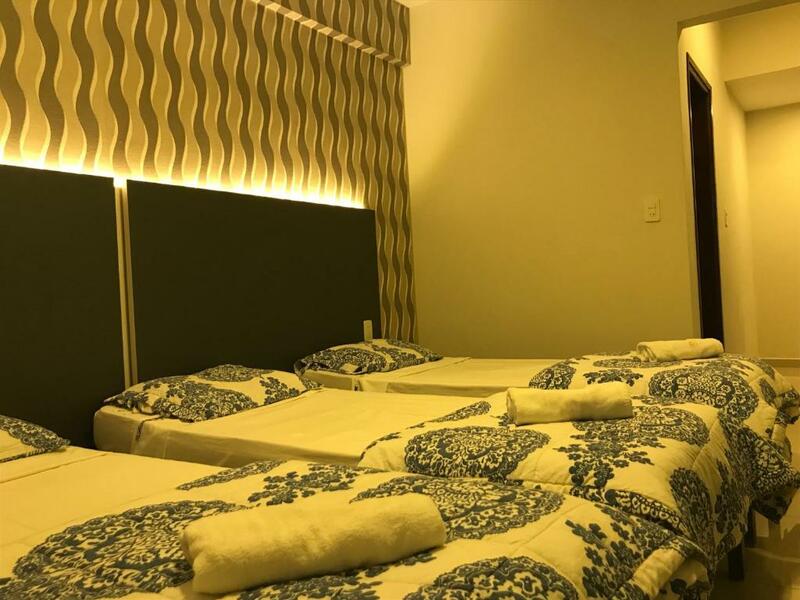 All children under 6 years are charged USD 9 per night for extra beds. Del Rio Apart Hotel accepts these cards and reserves the right to temporarily hold an amount prior to arrival. Had a room at the front, so was a bit noisy at night...although the balcony was nice to dry wet swimming stuff from the beach. My room only had to small windows. The breakfast should have a vegetarian option. The wifi wasn't very good and there was little or no crockery or cutlery and no washing machine. The breakfast was (always) just a toasted ham and cheese sandwich and small cake, which was pretty poor. The cost was quite high, considering, but we enjoyed the stay. Shower leaked over the floor in bathroom. Bed covers were not clean. Dark room with minimal light. It's a bit damp, but to be fair, it has been rainy this week and there is air con to help which we didn't use. Rooms are a little jaded and some places have paint pealing. Pillows are old and dirty. The first apartment I was in had a good mattress but because WiFi did not work well, I changed to an apartment on the upper floor and the mattress in the second apartment was not good. There were not many utensils to cook, had to get some from other room. The hot water power was very low. Supermarkets are not close. The breakfast was too basic, instant coffee with a grilled ham and cheese sandwich and one alfajor, I normally don’t eat flour, so that was a bit complicated for me, it would be nice to have options that you can choose for yourself, and definitely some fruits. Building work starting at 7am on a Saturday right next door. Good location for going to Jesuit Missions and waterfront. The breakfast was good, but could have healthier choices e.g. some fruits instead of muffin. The hotel is very close to all the important things: bus stop, city centre and beach.